The ongoing support of our family of strategic and programme partners, and sponsors continues to be a significant and vital part of AWDT’s success. Partnering with these organisations enables AWDT to take an inclusive approach to women’s development, making development programmes affordable and reducing barriers to participation. At ANZ, we have been committed to New Zealand’s success for over 170 years. We have remained dedicated to building lasting relationships with customers and delivering commercial, agri, institutional, personal, wealth and private banking solutions to New Zealanders. This commitment has helped us grow to become New Zealand’s largest financial services provider. As one of New Zealand’s best known financial brands, ANZ offers unrivalled scale, diversity, resources and influence. We also have extensive global reach, connected to 31 markets around the world. The Commercial & Agri business supports medium and large commercial and farm businesses. This sector makes a sizable contribution to the New Zealand economy and many of these businesses have immense growth potential. We want to help them to unleash this potential, to realise their own goals and to help all of New Zealand succeed. The agri sector forms a significant share of our portfolio. We recognise that farming is big business in New Zealand and, with growing international demand for high-quality food, agribusiness will continue to drive New Zealand economy into the future. ANZ is proud to partner with the AWDT to support the development and leadership of women in the agri-sector. Agmardt aims to foster and encourage innovative ideas, research capability and potential leaders within the agricultural, horticultural and forestry sectors. It is proud to support the work of the AWDT and its Escalator programme. Beef + Lamb New Zealand is the farmer-owned industry organisation representing New Zealand’s sheep and beef farmers. It invests farmer levies to help develop a growing sheep and beef industry providing sustainable returns for future generations. Beef + Lamb New Zealand has four programmes – Farm, Market, People and Information – to deliver innovative tools and services to support informed decision making, and continuous improvement in market access, product positioning and farming systems for the sheep and beef sector. An important part of its People programme is investing in leadership development for the sheep and beef sector. Women play key roles in New Zealand farming partnerships and bring a wide range of skills to the decision-making table, but they fill just 6% of governance roles in the sector. Beef + Lamb New Zealand is pleased to work closely with AWDT to support it programmes, which aim to increase the pool of women with the skills and capability to lead and govern agricultural businesses and organisations. Dairy NZ is the industry good organisation, representing New Zealand's dairy farmers. Its purpose is to secure and enhance the profitability, sustainability and competitiveness of New Zealand dairy farming. Dairy NZ aims to do this by leading innovation in world-class dairy farming and by working always in the best interests of New Zealand's dairy farmers. Back in 1903, farmers didn’t have much of a choice when it came to insurance. The only option was English-owned tariff companies who had little understanding of the risks and challenges faced by rural New Zealanders. They charged like wounded bulls and to make matters worse all of the profits went offshore to pay shareholders. Farmers aren’t the type to just sit around and talk about a problem, they want action. So, a group of them got together and in 1905 the first mutuals were formed in Otago, Wellington, Taranaki and Hawke’s Bay. Like most good ideas it soon caught on - more mutuals formed around the country and a new era of rural insurance was born. Fast forward a few years and the mutuals started combining to form even stronger organisations and began offering more products. Following on from this Farmers’ Mutual Group (FMG) was born in the 1970’s and set up base in Palmerston North. Over 105 years later FMG, as we’re known today, is still 100% New Zealand owned and operated and proud of it. Our focus today is on the risks and challenges you face, not just the insurance you need to deal with them - we want to help all New Zealanders take the risks they need to achieve their goals. Ravensdown has joined forces with the Agri-Women’s Development Trust as strategic partners to support them in making meaningful change across the primary sector. As farming faces disruptive trends and seeks to extend the sector’s social licence, effective leadership will be the key. Effective leadership is about diversity in decision-making and an important part of that is empowering women in the sector and improving their professional skills. RMPP is a unique collaboration between nine industry partners and the Government who are coordinating their efforts to increase profitability and productivity in the red meat sector. All investment is centred behind the farmgate, aligning with the recommendations in the Red Meat Sector Strategy. The partners are Alliance Group, ANZ, ANZCO, Beef + Lamb New Zealand, Blue Sky Meats, Greenlea, Progressive Meats Ltd, Rabobank, Silver Fern Farms and the Ministry for Primary Industries. 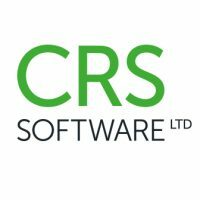 CRS Software Ltd has been developing farm management software for farmers since 1981. It has 30 staff, based in Masterton, comprising a development team, support staff and sales. Its flagship product is Cashmanager RURAL - Financial software that helps farmers plan. It is much more than just GST or accounting software and is used enthusiastically by thousands of farmers and rural professionals because of its unique ability to help with farm management. The company’s sole focus is the farming market and because of this, the products meet the needs of typical farmers, with great effort made to ensure the software uses simple language and is easy to use, even for farmers or partners with undeveloped computer skills. CRS Software Ltd believes that almost every farmer can use its software and will quickly discover that by working smarter in the office, farmers can achieve much more out in the paddock. The Ministry for Primary Industries is helping maximise export opportunities for our primary industries, improve sector productivity, ensure the food we produce is safe, increase sustainable resource use, and protect New Zealand from biological risk. Our purpose is "Growing and Protecting New Zealand”, and our strategy tells the story of what we need to achieve to ensure the success of the primary sector for the benefit of all New Zealanders. Our ambition is for New Zealand to be the most trusted source of high value natural products in the world. At KPMG, we are focused on fuelling the prosperity of New Zealand – for the benefit of all New Zealanders. It’s why we’re passionate about helping New Zealand’s businesses succeed, the public sector to achieve more, and our communities to grow. This is more than a goal - it’s our reason for being. At KPMG we work shoulder-to-shoulder with our clients – providing deep expertise that delivers real results. They trust us to deliver the kind of targeted advice, technical knowledge and industry insights that help them manage risk and embrace opportunities. The AWDT vision to grow and strengthen primary industries by enabling women has great synergy with our purpose to fuel New Zealand’s prosperity. Farmers Weekly is the leading agricultural publication for farmers. It's where we deliver news, advice, inspiration and the latest farm management information in print and online. We understand farming's challenges and what it takes to prosper on the land. Farmers know we've got their backs, it's the trusted source for the farming community. Our award-winning, experienced team of writers and editors make sure we cover the country from top to bottom, delivering timely news beyond the farmgate and capturing the characters of farming with On Farm Story through our flagship newspaper, The NZ Farmers Weekly, delivered into 79,000 rural households. Our online hub for what’s happening now in agriculture is farmersweekly.co.nz. It’s where farmers go for live news, information, learning, forums, jobs, real estate, farmers voice, weather and much more. Powered by GlobalHQ, publishers of Farmers Weekly, Dairy Farmer, On Farm Story and AgriHQ data. I did this program a few years ago now. It was an awesome program with top quality facilitators and presenters and course content. Highly recommend it to anyone with an interest in furthering their role inside their business and also in the wider industry especially the Farmers Councils. Always an awesome group to work with-Loved the digging deep to look at how to better lead from on farm through to Industry. Roll on the June Module. Another excellent course thank you! Fantastic! Excited for this progression of collaboration. Understanding Your Farming Business is fully funded by Red Meat NZ, who are investing in women and the sector to create more sustainable farming businesses. Return to your business with confidence to play a greater role in decision making and communicate strongly with advisors, business partners and rural professionals. Agri-Women's Development Trust (AWDT) Agri-Women's Development Trust (AWDT) shared a post. Here's the full article for this week's #OnFarmStory which features Mark and Susannah Guscott from Martinborough. Natasha Crutchley you would LOVE this course! Tararua & Hawke's Bay red meat farming partners - Future Focus is coming to Dannevirke on May 9 (module 1) & June 10 (module 2) and registrations are now open. Fully funded by Red Meat NZ this two-day programme uses a team approach to business planning, allowing farming partners time away to work purely on their business instead of in it. Hayley Quirke did you see this ?